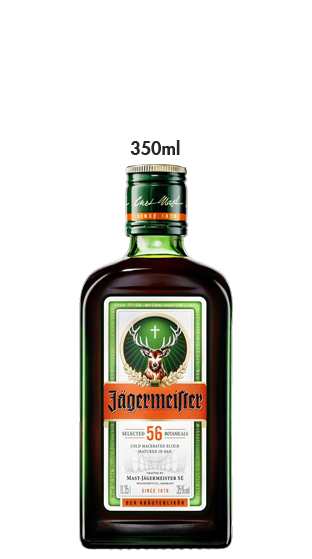 Jagermeister is the best selling German spirit in the world. 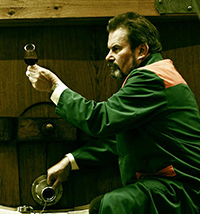 It is produced from a mysterious blend of 56 fruits, roots and herbs with 35% alcohol. 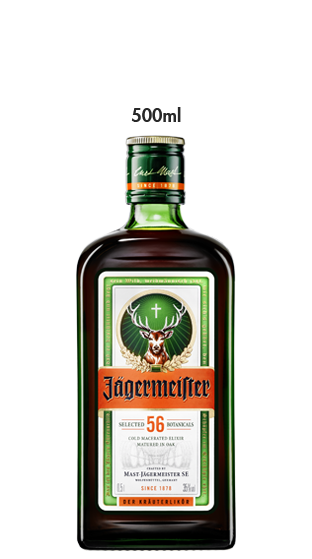 The recipe was developed in 1935 and still remains a closely guarded secret today. 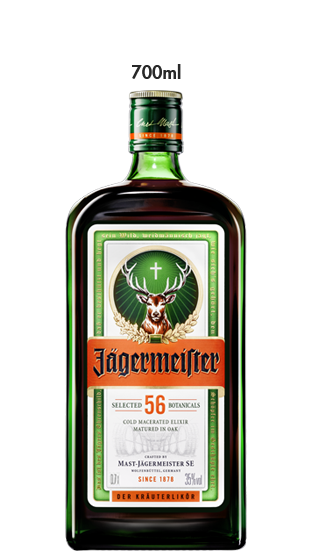 The brand has had huge international success, particularly in the USA. 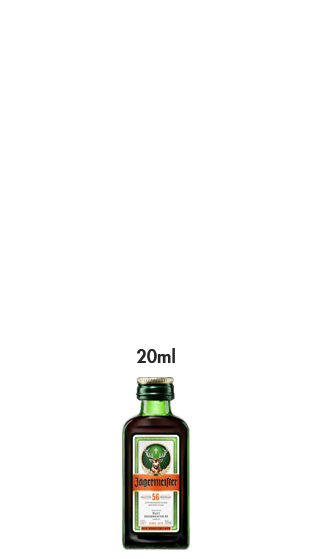 It has also experienced phenomenal growth in New Zealand where it has a loyal following. 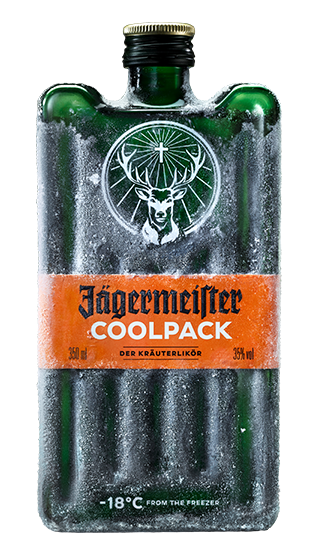 It should always be shared ice cold or mixed with ginger beer and fresh lime as a long drink. 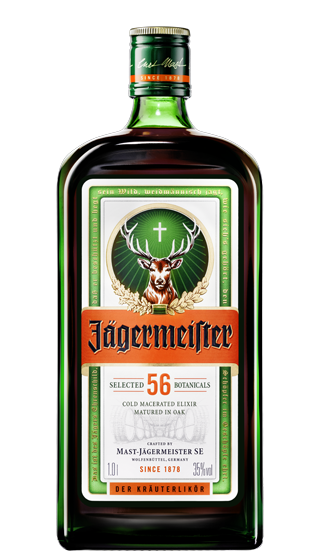 Jagermeister comes from the German words Jager and Meister meaning 'master of the hunt' or 'master hunter' in the sense of 'expert' or 'committed' hunter. 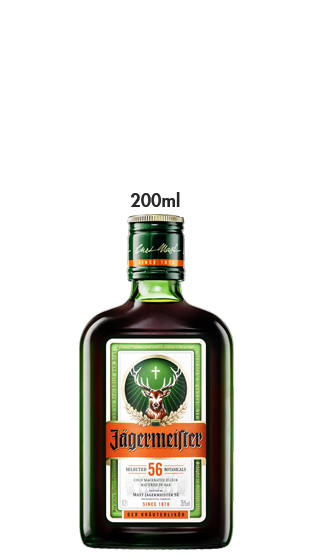 The Jagermeister logo, the head of a stag with a glowing cross between the antlers, is a reference to the story of Saint Hubert. 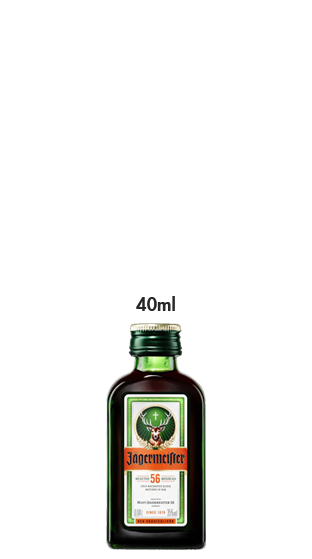 On the edge of the label of a Jagermeister bottle, the following poem by Otto von Riesenthal is printed: - Translated in English: - This is the hunter's badge of glory - That he protects and tends his quarry, - Hunts with honor, as is due - And through the beast to God is true. 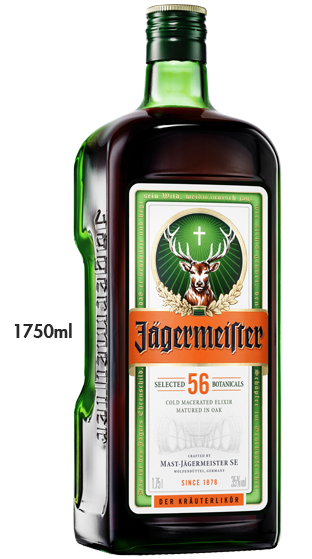 So before you go hunting tonight - make sure you share Jagermeister ice cold!